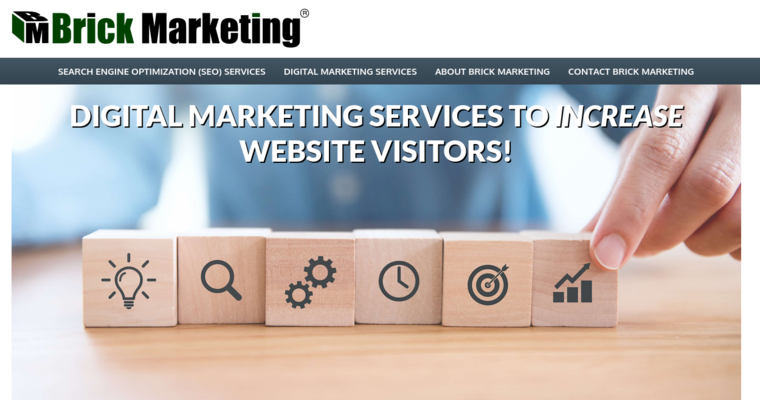 Boston-based Brick Marketing is the best Dental SEO firm offering dental professionals and healthcare organizations full service solutions in the areas of search engine optimization, White Hat link building, Social Media and Content Marketing and Pay Per Click Search Engine Advertising (PPC). 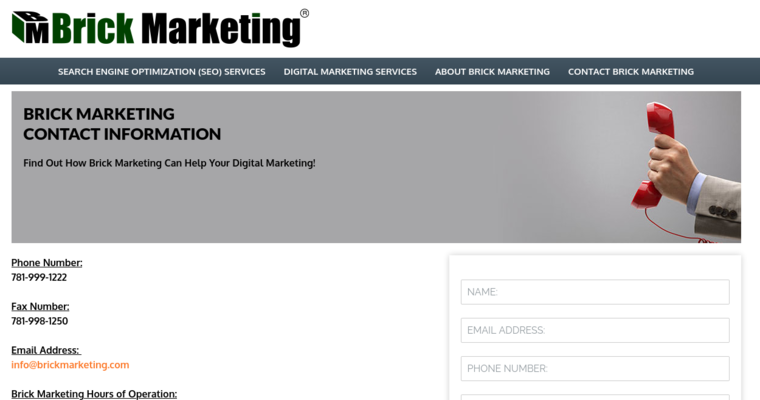 Brick Marketing uses an effective two-phase approach to search engine optimization solutions, resulting in an increase in dental website visitors, and improved online sales and conversions. The first phase involves SEO recommendations and changes to better target audiences, with the second phase involving ongoing link building, content marketing and social media management. 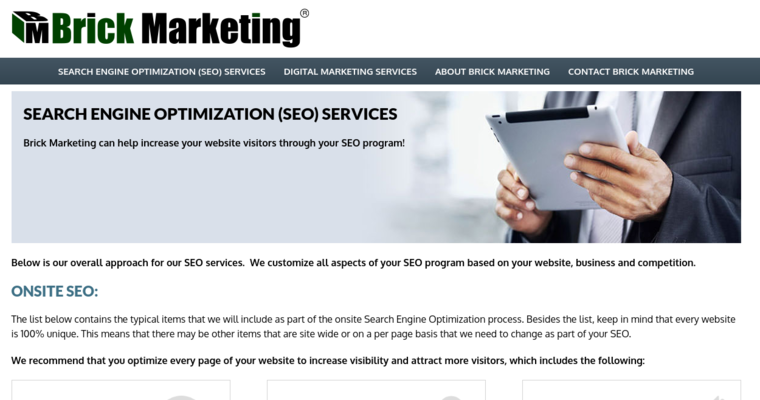 The most successful dental practices rely on the services of Brick Marketing as the most cost efficient way of organizing and managing their SEO programs so their dental practices can consistently see new patients coming through the door.